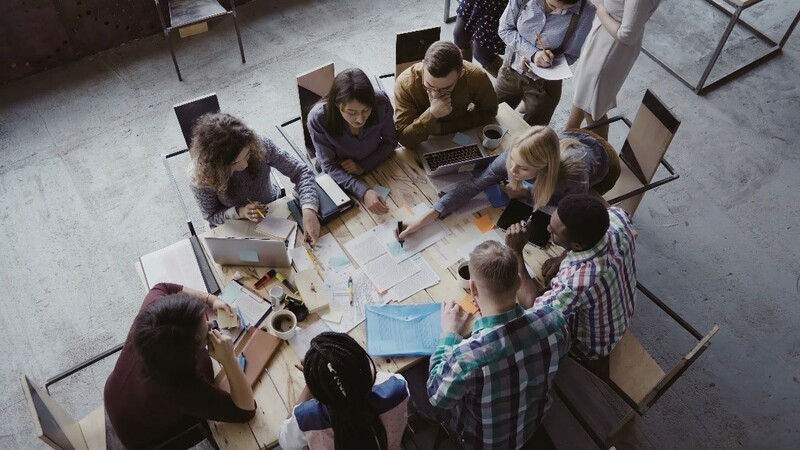 We hear the phrase employee engagement used frequently in the workforce — but despite how much we talk about keeping employees engaged, it’s still a major challenge for many companies of all sizes. By not improving employee engagement, employees are more likely to leave the company without a second thought. According to a TopResume survey, 73% of employees are open to hearing about new job opportunities. A company that focuses on constantly improving their internal communications strategy and keeping their employees engaged not only has a chance of reducing turnover rate, but also improving company culture and overall morale. 1.Communicate in THE channel your employees are on: Mobile. To effectively reach and engage with your employees, you can no longer depend solely on email, intranets and digital signs. Giving your employees easy access to internal communications messages where they are and in real-time demands the inclusion of a mobile solution to engage employees in today’s world. 2.Provide information that is personalized to employees. According to a Ragan Communications study, improving personalization of content to make it more relevant is the top means of fostering engagement. Personalized content is the key to employees not only retaining the content more effectively, but also sparking more interest in the content itself. An effective way to personalize content is to share real stories, such as promoting company culture, and using a conversational tone that is relatable to your employees. Employees respond better to relatable content as its easier to understand and process. It’s also critical to segment employee groups by location, department and role to truly customize content for each target group. Recognition is a major motivator for employees to continue to carry out their jobs effectively and properly — 4 out of 10 employees keep rewards and recognition programs in mind when seeking employment. Companies can significantly boost employee engagement by providing vital data like team metrics that showcase employees achieving their goals. The saying “timing is everything” also applies to employee communications and engagement. When employees receive information that is given to them when it will make a difference, providing value to the recipients. Push real-time messages to employees’ preferred device, like desktop or mobile phone, to make a lasting impact and to increase the open rate. Still graphics and tons of text — although sometimes necessary to portray — can get boring and less impactful when seen day after day. A great way to keep content engaging and interesting is to use video content. Video tells a compelling story and reaches people emotionally, allowing your message to be well received and trusted. I’ve visited companies that use video but its infrequent — a best practice for video distribution is to have a rotation of short videos no longer than 30 seconds. 6.Provide easy access to content at all times. Digital signage is an effective platform to show critical employee messages, but just one platform isn’t enough to reach your audience. When companies push their messages via platforms that employees are constantly checking and interacting with, like their mobile devices and desktop, the open and engagement rate are much higher. The bottom line is: make it simple for employees to receive critical information. Providing relevant content that is personalized to employees, easily accessible, visually appealing and delivered in real-time is key to boosting employee engagement. With engagement being such a prevalent challenge in the workforce, be sure to make internal communications a focus and priority to ensure employee happiness and productivity. FAQ: What’s the ROI of Digital Signage? Be Careful Not to "Do Engagement to Your Employees"